Come to us at the start of your project, and our experienced European based engineers will work alongside you to design customized membrane switches to the exact specifications of your applications. We design and manufacture all of our membrane switches in Europe and Asia for optimal quality and timely service. Our engineers have the experience and know how to handle even the biggest challenges such as fitting all necessary switch features for optimal functionality in the space-constrained layouts of complex circuit designs. A full range of other in house services, including colour matching and digital printing, enables you to conform to your customers’ brand standards and provide the aesthetics to create the perfect, intuitive user interface. FlexiSwitch custom membrane switches are ideal for markets that require a high degree of engineering expertise and quality workmanship. These include medical, industrial controls, defence, high-end consumer appliances, emergency response and communication equipment, and fitness equipment. 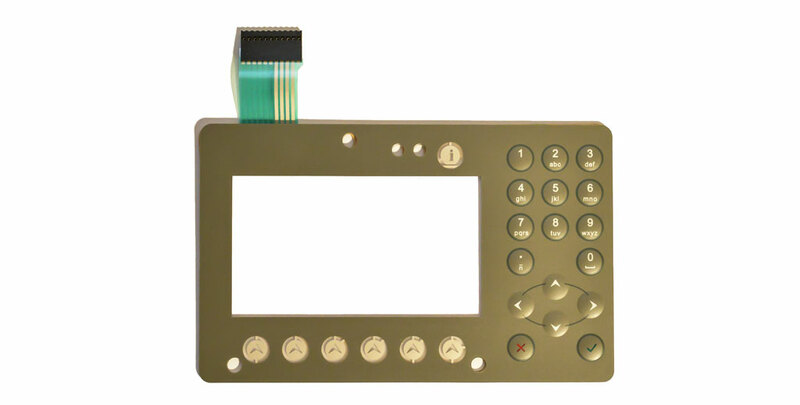 A significant advantage to working with us is the full service approach from designing and manufacturing membrane switches, to installing integrated membrane switch assemblies. When we simplify your work process, you are freed from the disadvantages (like paperwork, administrative time, project delays and system failures) of working with multiple vendors. You’ll get the full benefit of working with FlexiSwitch when you bring your project to us from the start. We can help you avoid common design problems and create the best solution for your application. The graphic interface between user and machine, the overlay makes or breaks the effectiveness of a membrane switch. We help you select the best overlay material for your application, and our in-house graphics specialists will assist you in colour selection and design of the overlay, including special features such as embossing. As the standard, FlexiSwitch offers screen printed silver conductive ink circuits, and we supply copper etched and PCB circuits to meet your design requirements. Ideal for lighting individual characters and or the whole key pad. Light Emitting Diodes (LEDs) are considered the standard for indicator lamps in user interface membrane switches thanks to their brightness and robustness. Other benefits include long life and low energy consumption. Appropriate to the application, we design membrane switches to react to varying degrees of force, from as little as 40g up to 2.2Kg of tactile feedback. Contact us today to learn more about how FlexiSwitch can help you create the most effective membrane switch solutions for your applications.